August 2012 – CREATE. PLAY. TRANSFORM. 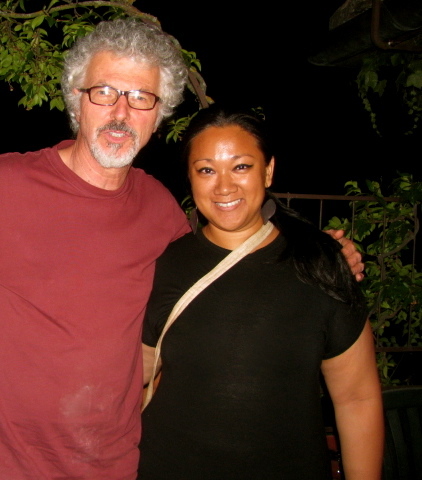 Our last night was spent right on the rooftop of La Meridiana. Pietro joins us this time! Yey! We brought all our leftover food from our farm house’s refrigerator. Pankhuri and I prepared a simple potato dish with Indian spices. Thank God, they all liked it! Everyone shared stories all throughout the evening and we all laughed, encouraged, and inspired one another. Ladies, one day, I know that your wish for me will come true. To have a man with me who will understand what I do and why I will do it for the rest of my life : ) You will surely be updated on this. But here’s a warning: It will not happen anytime soon. Haha! Like me, this whole “La Meridiana Experience” started out from a page in a magazine or a link to the school’s website. We shared one dream and some of the ladies came back to maybe their most favorite place in the world. We walked through our dream holiday together. We tasted the meals together. We all walked to the school together. 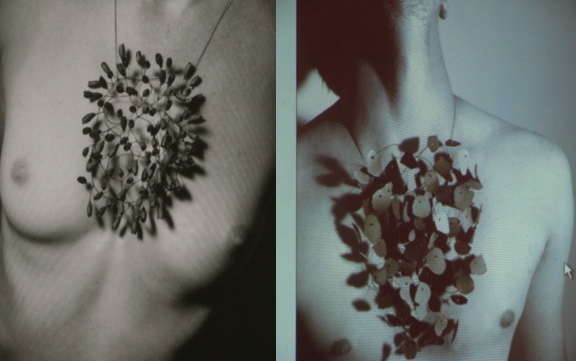 We all created jewelry pieces with Porcelain together. We were one for a week. It feels great to know that there are people around the world who share the same passion. These are things that will keep a strong bond of friendship through decades. We may not see each other as often as our Tuscan summer this year, but you are all welcome to visit another side of the world. A tropical country that offers a rustic experience to those who are willing to take another adventure with clay, the sun, sand, sea, mountains, and the city of Manila! Oh Pietro! Thank You for making your dream come true! Thank You for sharing with us, how everything started as a dream, a plan, and a reality. You inspire me the most. You held on to your dream until you see it come to life. What great perseverance you have! Your dream has definitely trickled down to a lot of people from around the world including The Philippines! Thank You for your warmth, your very funny childish ways, and mostly – for opening La Meridiana to strangers and fellow lovers of Ceramics! May you and your staff continuously be blessed in the years and decades to come! Traveling is being away from home. We go to different places around the world and we sometimes wish we live in them. We gain knowledge, we take time to rest, we get tired but it’s ok, and we experience joy in unfathomable ways. We take with us, memories that will stay alive in us for the rest of our lives. Stories that we will share to friends, family, and strangers. We were all strangers when we arrived Certaldo. We parted ways and gone home to our different countries as very good friends. I surely shared some of my personal stories with some of the women I’ve met during the workshop at La Meridiana and vise versa. It’s like a trip that was planned ahead from our desires to come to Italy. I will treasure conversations I’ve had with some of you. Conversations that only the railroad tracks of Tuscany and the cobble stones on Santa Maria Novella train station in Florence will keep forever. You know who you are and I thank you for sharing your lives with me too. Sharing one’s heart is definitely greater to hear than any technique in pottery or jewelry making. 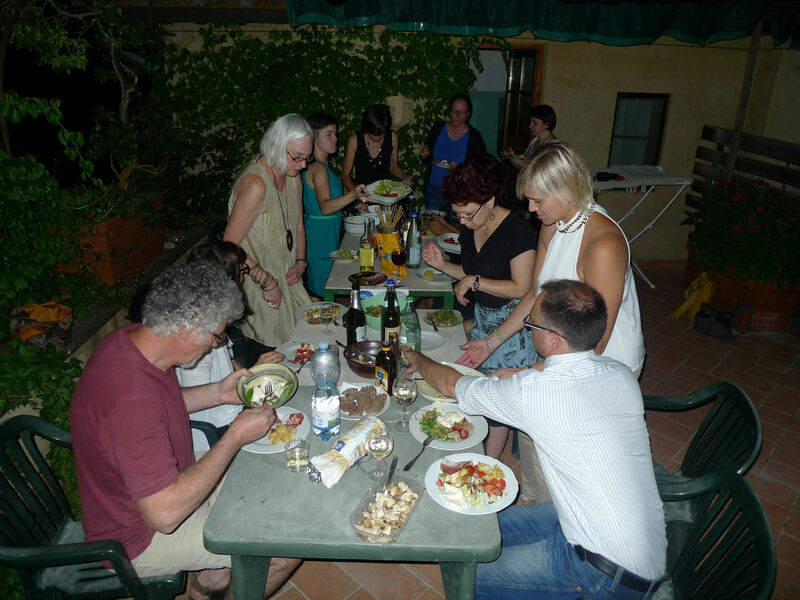 These posts about the whole Italian experience is not only about clay, Italy, food, sightseeing, Art, etc. It’s about having dreams and seeing them come true. What is your dream? Keep dreaming and believing that it will happen one day. Mine surely became a reality after a decade! Don’t lose hope when there seem to be no way in seeing it come to pass. It will happen and come at the most unexpected time and it is much greater than how you want to see it. It’s bigger and it has its special inclusions too. I am most thankful to the one who made this trip possible. You are such a great provider, a faithful friend, and a trustworthy Father. You do not only make dreams come true, but I know for sure, that this is just a part of your master plan! Coming from a country, where Potters work with stoneware and terra cotta clay, I am so overwhelmed to see pottery and jewelry in Porcelain. It’s very good to be studying under an instructor who is very generous with ideas. He did not hold back any of his ideas from us. Generosity comes with great confidence. He did not take ownership of techniques he has taught us. He shared them all with elegance and style. 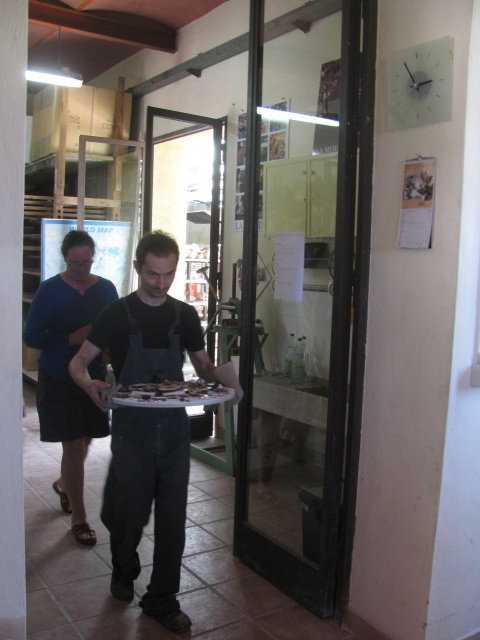 When Luca enters the studio with a warm kiln shelf between his hands, we all stop whatever we are busy with. We gather around the table where he puts our pieces and observe them one by one. All of us were able to follow his instructions . We all produced something using the different techniques he shared to us. 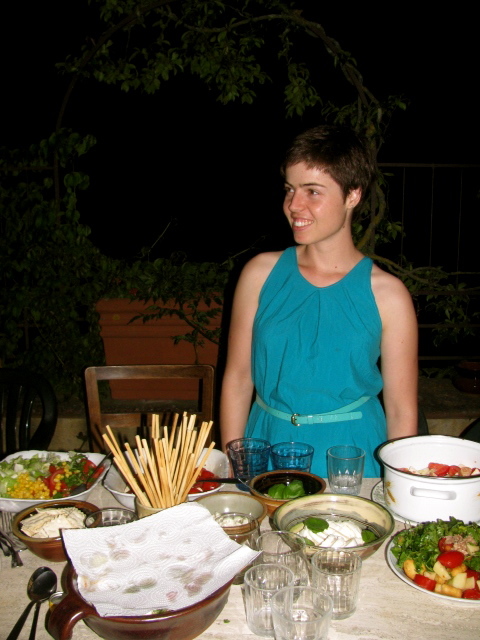 Dora is a potter and a jewelry designer from Greece. I like her pieces the most. Big and bold jewelry pieces! 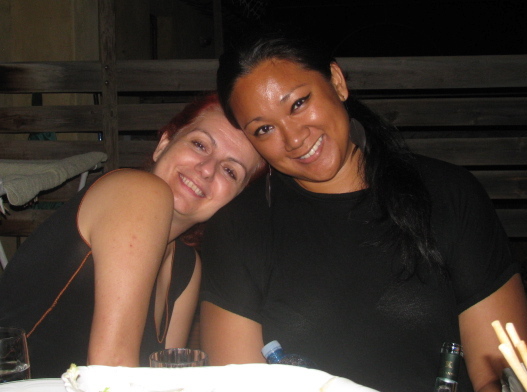 I will never forget how she calls me, “My exotic lady!” Dora has an arts and crafts school in Athens, Greece – which I would love to see someday too! I hope that her dream comes true someday: To build her second school on one of the islands in Greece and very near the sea! 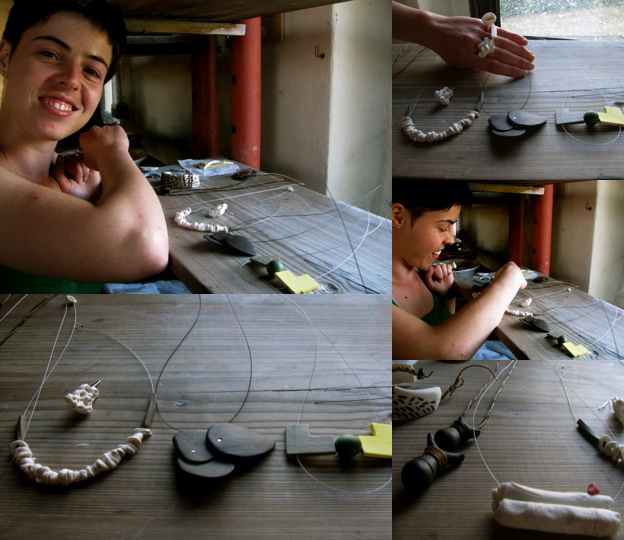 The workshop on Jewelry in Porcelain will not end without seeing Luca Tripaldi’s handmade creations! Here are some of his neck pieces. The one on the left on Lucia is made with black and white porcelain clay. The one on the right on Rita is a choker with decals designed by Luca. His and hers version of Luca’s works. 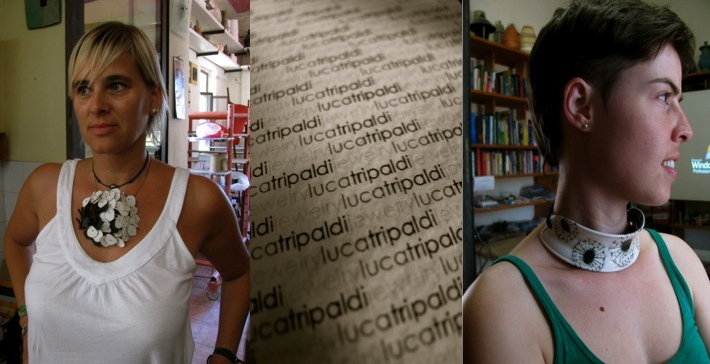 Luca Tripaldi is a jewelry designer, Potter, and a very professional teacher. He also works with the very advanced, 3D electronic Ceramics designing machine that is starting to become famous all over the world. Luca! I’ve invited you to come to Manila when we were at La Meridiana. I am inviting you once again to come to Manila, and hold a workshop here for locals and international participants too. I will definitely keep in touch with you. Let’s plan something! 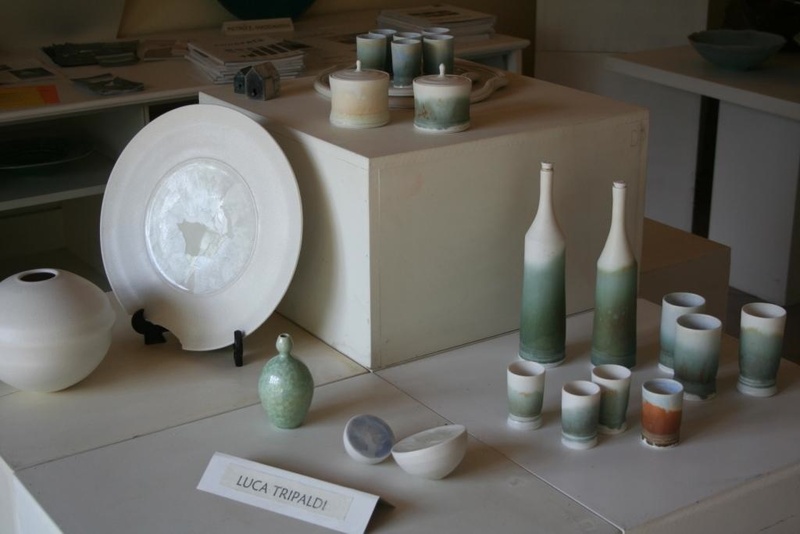 Thank You, Luca Tripaldi, for hosting such an intensive and creative workshop with Porcelain clay. Your elegance in teaching has exceeded my expectations as a student. I learned a lot from you as a jewelry designer and a teacher. Thank You for sharing with us your patience, grace, and style. We salute you!